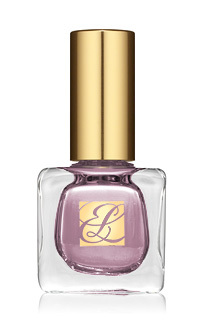 Estee Lauder’s Surreal Violet Nail Polish from the new Blue Dahlia collection is now available to purchase. 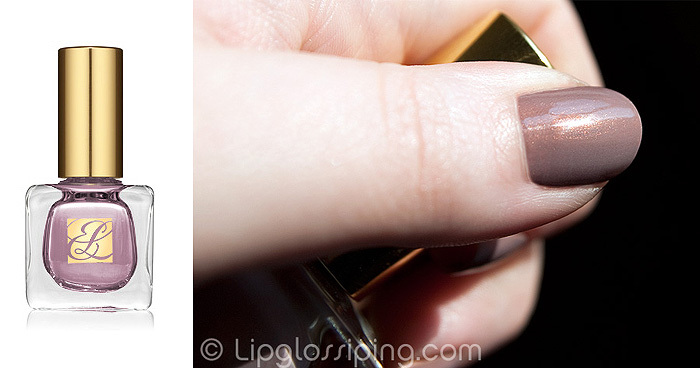 It’s a limited edition shade and a beautiful late summer/fall companion to Chanel’s eagerly anticipated Paradoxal. Surreal Violet is priced at £12, and I’m just as in love with it today as I was back in June. A cracking shade. *whispers* I think this looks nicer than Paradoxical. Thanks for the reminder, I like the look of this so will check this out at the counter. I love this shade, i was expecting it to be bright but its soft and muted. I gotta have it now! It’s WAY better than Paradoxal and much easier to get hold of. This is lovely, but are the bottles as small as they look? How many mls? Also, do you know when Paradoxal comes out? Thank you. Oh god, this might satisfy my pale purplish-grey polish wants! After seeing this mag cover, that’s all I want. Nope, can’t think of anything other than the suggestions that have already been made on there – it’s a beautiful shade though! How does this one compare to Zoya’s Deidra? Agreed w the ladies above me, it is better than Paradoxal! Sold!